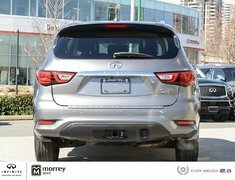 One owner, local accident free vehicle in great condition ! 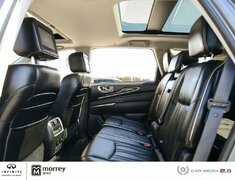 Just in ! 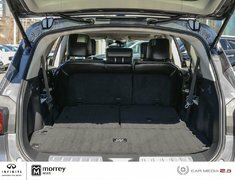 One owner, local accident free vehicle in great shape ! 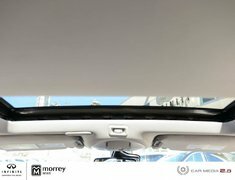 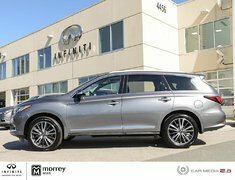 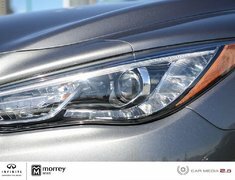 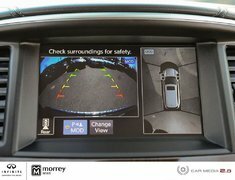 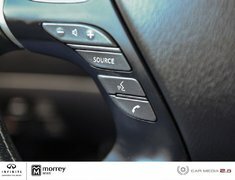 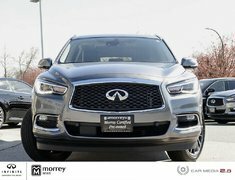 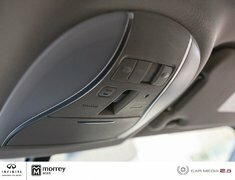 This full load 2017 Infiniti QX60 Technology Package is powered by a 3.5L V6 295HP 270 lb-ft engine coupled with a CVT automatic transmission and features: Navigation, All Around View Monitor, Front & Rear Sensors, Forward Emergency Braking, Backup Collission Intervention, Lane Departure Warning/Intervention, Blind Spot Warning/Intervention, automatic distance control (gas pedal that will push up on the driver's foot when a vehicle is detected ahead), heated and ventilated front seats, heated steering wheel with power tilt and telescoping function, power-folding third row of seats, heated second-row seats, 15-speaker Bose surround sound system, advanced air purifier, second and third-row moonroof, and USB charging ports spread across all three rows of seats and much more ! 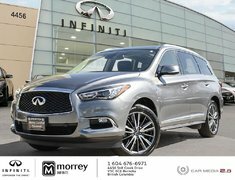 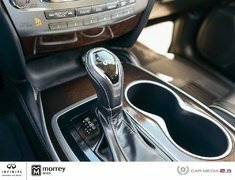 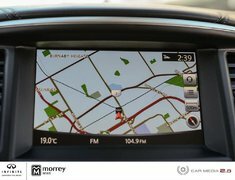 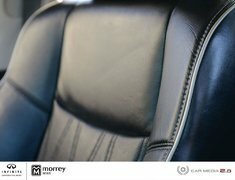 Please call Morrey Infiniti of Burnaby and book an appointment for your test drive today. 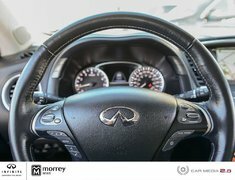 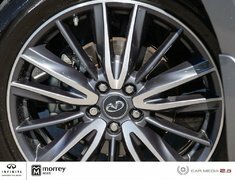 WHY BUY A INFINITI CERTIFIED PRE-OWNED? 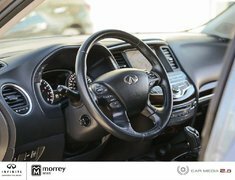 · 169-Point Inspection and Fully Reconditioned to meet strict Infiniti Certified Safety Standards By an Infiniti Certified Technician · 6 Years/160,000 KM Extended Warranty. Infiniti Certified Rates · Guaranteed No Liens · ICBC/Carproof Declarations Report - 24/7 Roadside Assistance and Concierge Service· Service Loaners available · Shuttle Service · Service Valet Parking · Family owned and operated for over 50 years! 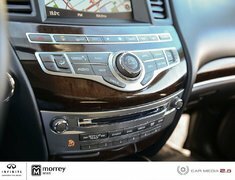 · Peace of Mind · All pre-owned vehicles have a $595 Document Fee that will be added to the selling price. 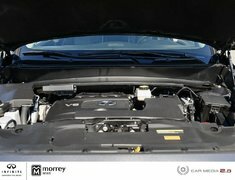 Cylinders: V6 Cylinder Engine 3.5L - V6 cyl. 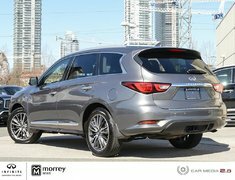 Carfax is Canada's most trusted vehicle history report. 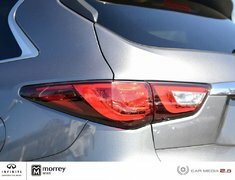 A Carfax report gives you details about a vehicle's past when you buy or sell a pre-owned vehicle. 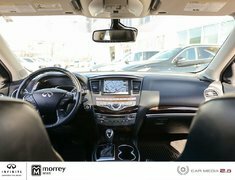 * Price shown excludes government taxes and licensing/registration fees. 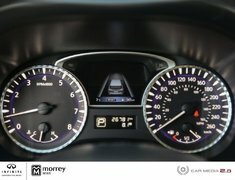 Mileage listings are estimates and may not accurately reflect current odometer reading. 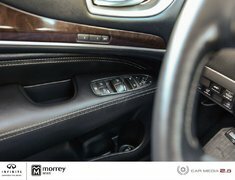 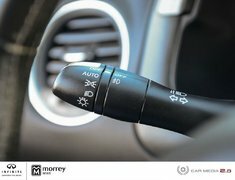 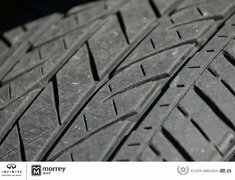 While every reasonable effort is made to ensure the accuracy of vehicle information and pricing, we are not responsible for any errors or omissions contained within. 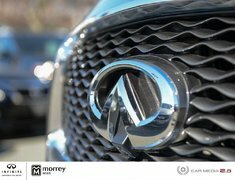 Please verify all vehicle information and pricing details with a Morrey Infiniti Sales Consultant or Sales Manager.